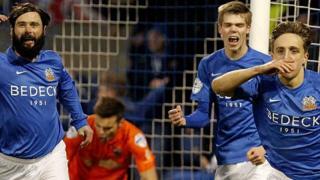 Glenavon beat Linfield 3-2 in an exciting Irish Premiership clash at Mourneview Park. Daniel Kearns scored the first and Joel Cooper the other two for Glenavon who took the lead on three occasions. 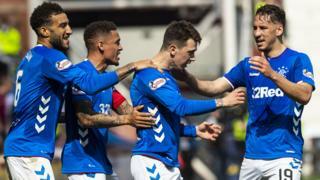 Jamie Mulgrew and Kirk Millar scored equalisers for Linfield who fall to fourth in the table.